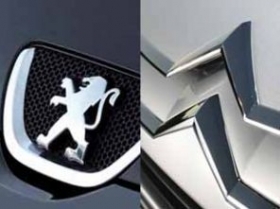 RENNES, France -- PSA/Peugeot-Citroen declined to comment on a report that the Algerian government plans to discuss an investment in the automaker with French government officials during a visit by President Francois Hollande to the country next week. A PSA spokesman told Automotive News Europe that the carmaker has not announced any plans to begin production in Algeria and said the report was "based on rumors and we do not comment on rumors." PSA expects its market share in Algeria to be "significantly" higher in 2012 than the 11.5 percent share it had in 2011, the spokesman said. PSA is expanding production in growth markets to reduce its dependence on Europe. PSA's vehicle sales fell 12.2 percent to 1.27 million in EU and EFTA markets in the first 10 months in a total market down 6.9 percent to 10.7 million, according to industry association ACEA. French newspaper La Tribune published the report on Wednesday on its Web site. An Algerian deal with PSA could impact rival Renault's plans for a factory in the country, the report said. Renault signed an initial deal with Algeria in May to build a plant to serve the local market. "We are still in discussion and the dossier is making progress," a Renault spokeswoman said. The Peugeot 207 is the best-selling car in Algeria with 10-month sales of 29,646, ahead of the Dacia Logan at 21,681, according to IHS Automotive. Renault is the country's best-selling brand with 67,132 vehicle sales in the first 10 months, followed by Peugeot at 54,500, Hyundai at 43,260 and Dacia at 32,918.